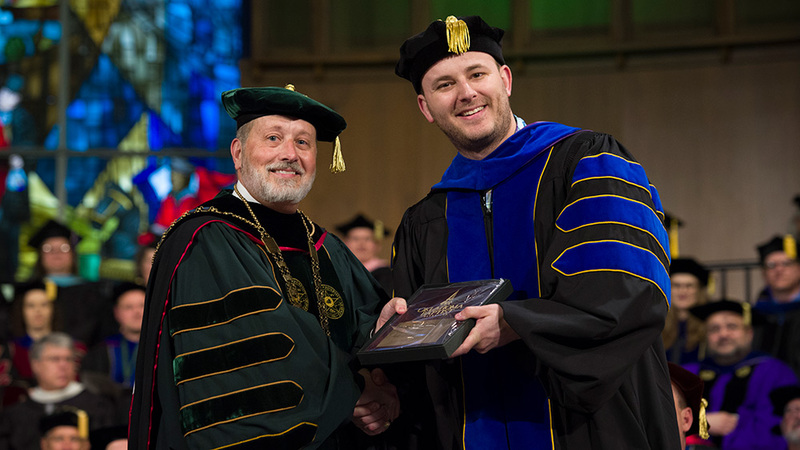 Each year during Spring Commencement, OBU recognizes faculty and staff members who have distinguished themselves through their teaching or service to the University. OBU is currently accepting nominations for its three major awards: Distinguished Teaching, Meritorious Service and Promising Teacher. Anyone from the OBU community may nominate a potential award recipient. See below for nomination details. View a full listing of previous award recipients. You are invited to nominate an OBU faculty or staff member for these awards. Your nomination should include the name of the person nominated, the award for which you are nominating him/her (please be sure to use the correct award name), and a brief statement regarding why you think your nominee should be considered. Please review the criteria below before submitting your nomination. Nominations can be emailed to Angela Williams at angela.williams@okbu.edu or mailed to her attention at OBU Box 61214, 500 West University, Shawnee, OK 74804. Must currently be a full-time teaching faculty member. Must have served on the OBU faculty for a minimum of five consecutive years. Must have distinguished himself or herself in the teaching profession over a period of several years as acknowledged by former students, peers, and current students. May receive the award only once in a six-year period. Must currently be a full-time faculty member or a full-time member of the administrative or support staff. Must have been on the OBU faculty or staff for a minimum of ten years. Must have distinguished himself or herself in service to the University as acknowledged by former students, current students, peers, or other University friends. May receive the award only once. Must have been on the OBU faculty for less than six years. Must have proven himself or herself to have outstanding teaching promise as acknowledged by former students, peers, and current students.